Orthodontics: Is It for You? 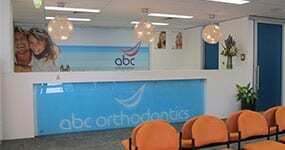 Many people choose orthodontic treatment because it will make their smile look better. At ABC Orthodontics, we care about the health of your teeth and bite as much as the beauty of your smile. We believe in a holistic approach, resulting in both optimum function and appearance. Orthodontic treatment aligns the teeth and jaws to improve your oral health and the cosmetic appearance of your teeth and face. 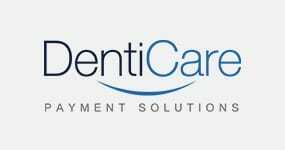 Braces and other such appliances are what we employ to achieve this goal. Crooked and crowded teeth are hard to clean and maintain. This can result in tooth decay, gum disease, and even tooth loss. Alignment problems can contribute to the abnormal wear of a tooth’s surface, inefficient chewing function, excessive stress on gum tissue and the bone that supports the teeth, or misalignment of the jaw joints. These can lead to chronic headaches and face or neck pain. Treatment can help prevent these dental problems. Of course, the most obvious benefit of orthodontic treatment is an improved appearance. No matter what your age, you’ll feel more attractive and confident with an aligned, beautiful smile. Simple treatment may be carried out with the aid of a removable appliance (a plate that can be taken out to be cleaned). It has delicate wires and springs attached, which move the teeth using gentle pressure. Today, braces are much smaller than their bulkier predecessors. Fixed braces have brackets and bands temporarily bonded to the teeth. A flexible wire joins all the brackets and allows the teeth to be moved. The brackets and wires that are used in braces today are much finer than they used to be, and they’re made of a strong space-age material that straightens your teeth faster and easier. Because it is not possible for you to take the appliance out, it is called a fixed appliance. The brackets can be made from ceramic and are tooth coloured, and the rubber bands that go along with braces come in a variety of colours now too. These braces are fitted behind the teeth on the (lingual) tongue side so they appear to be totally invisible. They can be used to straighten teeth and correct the bite. It does take a little bit of time for the tongue to adjust to this addition, but usually after a week or two you will have adapted. These are especially popular with adults, due to their hidden appearance. Invisalign is another excellent choice if you want a nearly invisible solution. 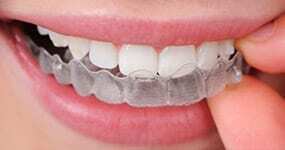 In addition, Invisalign uses removable aligners. Click here to learn more about Invisalign. If you would like to learn more about orthodontics, you’re welcome to attend one of our informal educational evenings. We offer this service so that you can meet our team and ask questions. This is especially useful if your child requires orthodontics in the near future, so you and your child can obtain a greater understanding of the process. If you would like to attend our next educational evening, please register with our receptionist on 1300 794 797 . We look forward to meeting you and helping you make educated choices regarding orthodontic treatment.